In case you don’t know what “Cretan Dakos” stands for, let us explain. Cretan Dakos is one of the most characteristic dishes in Greece. It is made of ingredients that are produced in Greece and that are basic in the Greek diet. Vegetables, feta cheese, greek yogurt and of course…olive oil. It is a traditional dish on the island of Crete and it’s super healthy and tasty. You can have this as an appetizer, as a side dish or as a salad. It is super easy and quick to be made, but as for all recipes in Mediterranean cuisine, the key is at fresh and quality ingredients. Even the easiest dish, can be proven tricky at the end if you can’t find the right ones. 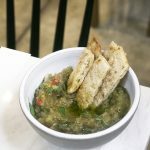 So, the difficult task of this Cretan Dakos recipe, is to collect them all. Once you do this, everything is quite simple. 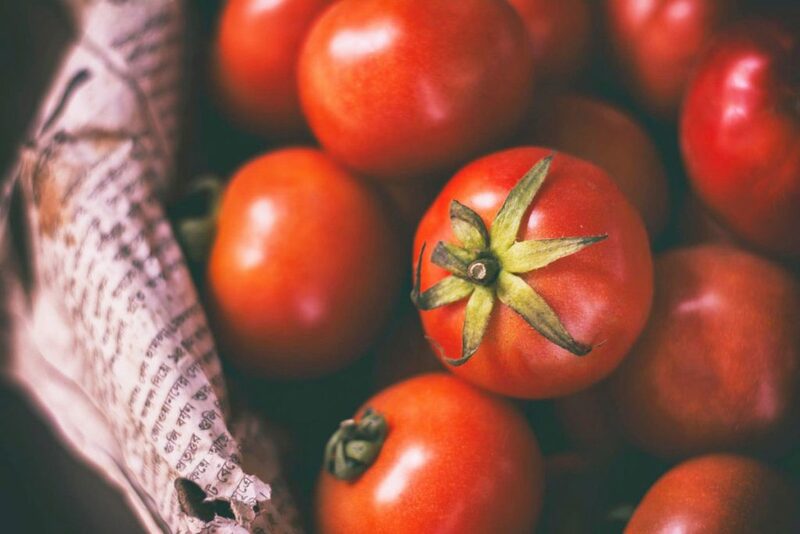 Choose juicy, fresh vine tomatoes, as this is the main ingredient that will boost the flavor of the dish. Add Extra Virgin Olive Oil, which will give the perfect finishing touch when it comes to taste. Soak the rusk in water or let the rusk soak with the tomato juice. Put the feta cheese in a whipping bowl and start mixing it with a hand mixer together with the milk and the Greek yogurt, until it gets that creamy texture. 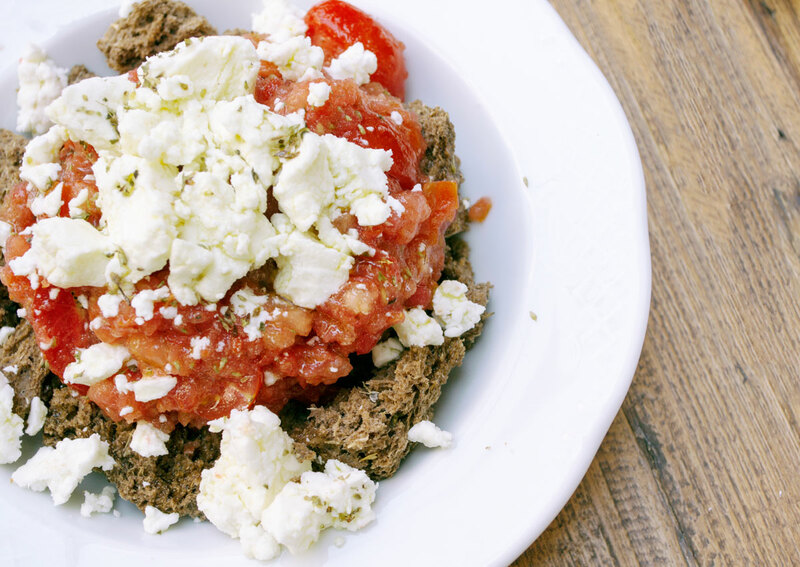 Add some grated tomato on top of the rusk and spread the feta cheese mixture all over. Slice the Kalamata olives and add them on top, with the capers. Sprinkle with some oregano and drizzle generously with extra virgin olive oil. Hope you enjoy it! Don’t forget to find us on Facebook and send us your masterpieces!